Oil futures fell Wednesday, as the effects of a stronger dollar continued to pressure the commodity, while investors braced for supply data due later that’s expected to show a further build in U.S. stockpiles. April West Texas Intermediate crude CLJ8, -0.10% dropped 10 cents, or 0.2%, to $62.91 a barrel. It closed 1.4% lower on Tuesday, for its biggest one-day percentage loss since Feb. 9. The commodity also snapped a three-session winning streak. The global crude benchmark, April Brent crude LCOJ8, -0.18% , lost 13 cents, or 0.2%, to trade at $66.50 a barrel. The April contract will expire at Wednesday’s settlement. The ICE Dollar Index DXY, +0.24% surged 0.6% Tuesday after Federal Reserve Chairman Jerome Powell’s first day of congressional testimony lifted expectations for further U.S. interest-rate hikes. The U.S. dollar index remained firmer, though did not replicate Tuesday’s big move, on Wednesday. Commodities tend to have an inverse relationship with the dollar, and a stronger greenback often puts pressure on oil prices. 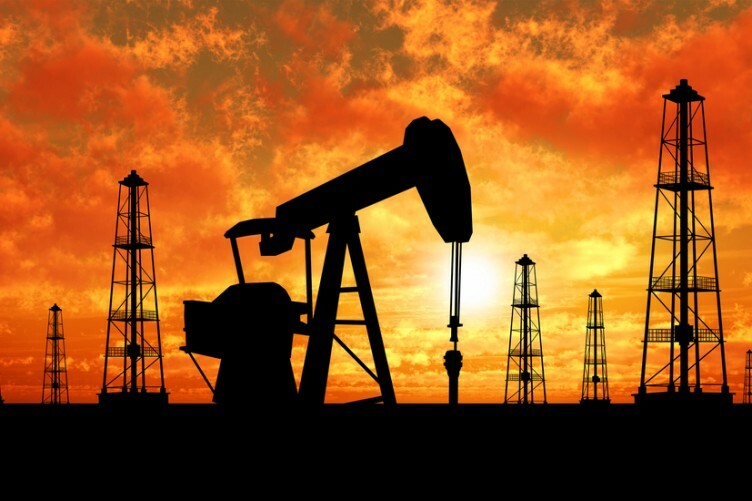 Investors were looking ahead to a weekly U.S. production and inventory data report from the Energy Information Administration. Analysts polled by S&P Global Platts expect the EIA to report a weekly rise of 2.1 million barrels in U.S. crude supplies. Gasoline and distillates are predicted to fall 200,000 barrels each. The American Petroleum Institute, an industry group, reported late Tuesday that U.S. crude supplies rose by 933,000 barrels for the week ended Feb. 23, according to sources. Gasoline stockpiles climbed 1.9 million barrels, and distillates saw a decline of 1.4 million barrels, sources said. Among other energy contracts, March gasoline RBH8, -0.50% lost 0.7% to $1.791 a gallon, while March heating oil HOH8, -0.23% was flat at $1.963 a gallon. The March contracts expire at Wednesday’s finish. Elsewhere in energy trading, April natural gas NGJ18, -0.37% slipped 0.3% to $2.674 per million British thermal units.